> We just wanted to give a big thanks to New Life Church in Renton, Washington for their recent order of two custom, full-color contour-cut diecut stickers. >Check out some previous projects from DCS! Read more about >Check out some previous projects from DCS! >DCS Crew at Seattle Fashion Week! 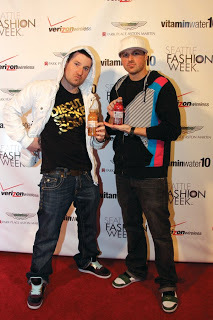 Read more about >DCS Crew at Seattle Fashion Week! >DCS Crew has been busy! >Yo world! I know, I know... it's been way too long since we updated our blog - but we have been slammin' jammin' in the production room and knockin' out projects left and right! So, since we finally had a second to breathe... here are some of our newest projects we completed and want to share! Read more about >DCS Crew has been busy! 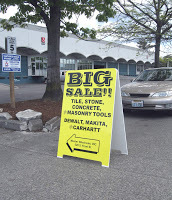 Read more about >A-Frames for Masterwhole Sale!